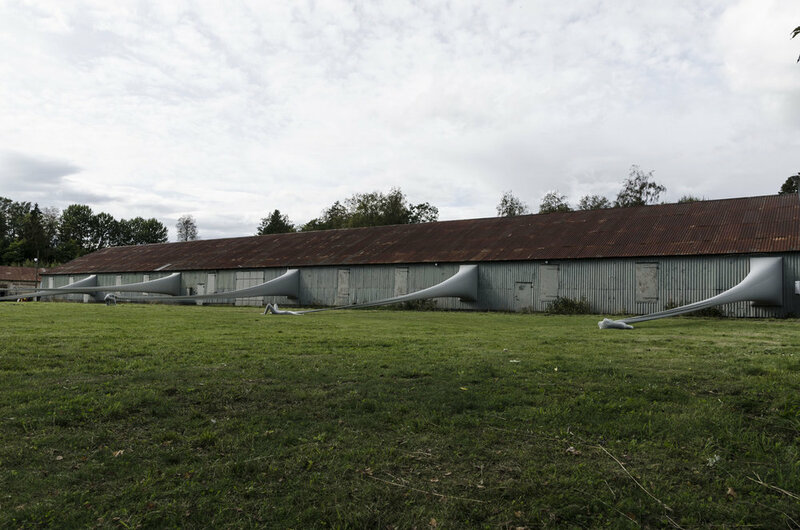 In Firkanta elastisitet - Skulptur i spenn (Squared elasticity - Strained sculpture) five dancers are connected to squared openings in a former military building in Ski, outside of Oslo. 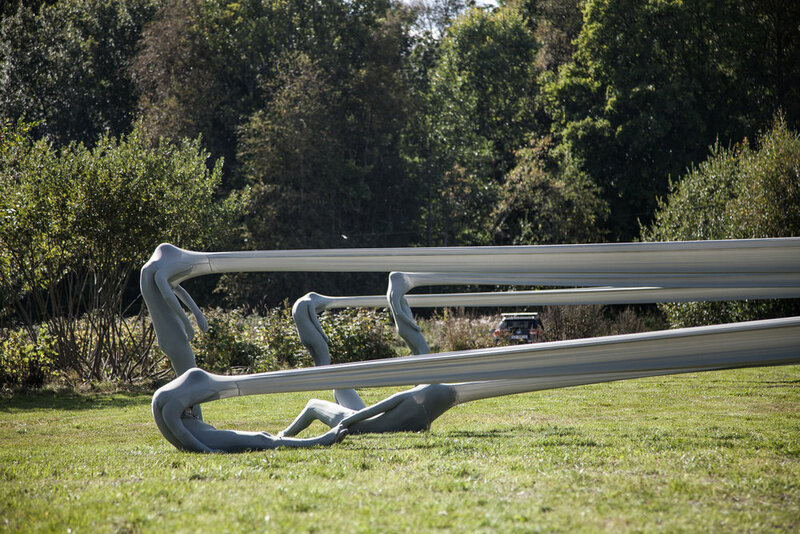 Slowly, in an alienesque, embryonic manner, the dancers seek positions that investigates the tension and elasticity created over the extended tube. The materiality of the tube is used as a medium for movement. 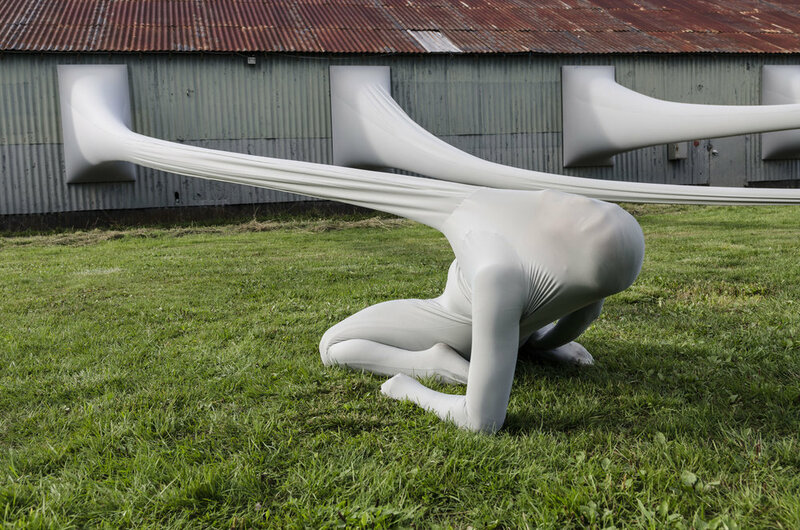 This creates an ambivalent sense of rigidity and elasticity. The bodies are locked within their own framework, they literally are fixed to and become one with their squared anchoring. At the same time their positions possess stretch effects and they are plastic in relation to each other. 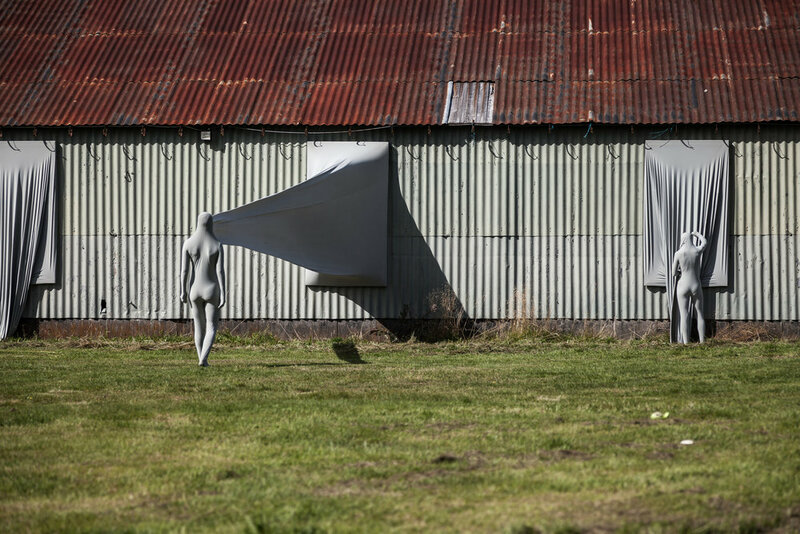 The pattern of movement is so slow, the work is best described as an elastic sculpture or large scale performative stillife. Duration: 1 hour. Performed at three occasions. Size: Installation area; day 1: 50*20 m; day 2: 150*20 m. Wooden frames: 130*230 cm. Lycra stetched/relaxed: 16/9 m.